Between claims of an AS Roma move being almost agreed for Grégoire Defrel, the Italian media seem to be throwing out reports of Leicester City interest. 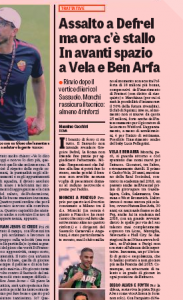 On July 5th Gazzetta dello Sport reported Leicester were ready to ‘press the accelerator’ for Defrel, despite them also saying a move to Roma was close. Then on July 7th, amid more reports of the Sassuolo player being close to a Roma move, TMW reported an ‘important’ offer from Leicester City had been made. In their Saturday edition, Gazzetta explain that Defrel isn’t a Roma player yet because Sassuolo are asking for €25m to sign the forward, and Roma believe it would be foolish to pay such an amount. 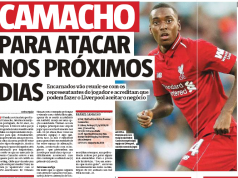 Leicester and West Ham are also been credited with ‘strong’ interest in the player by the latest Gazzetta report, but it’s implied they too would have to come up with an offer of €25m. It’s unclear whether Leicester are being used to try and extract more money from Roma, but €25m seems a little on the heavy side for Defrel, who scored 12 Serie A goals last season.